I love Christmas. 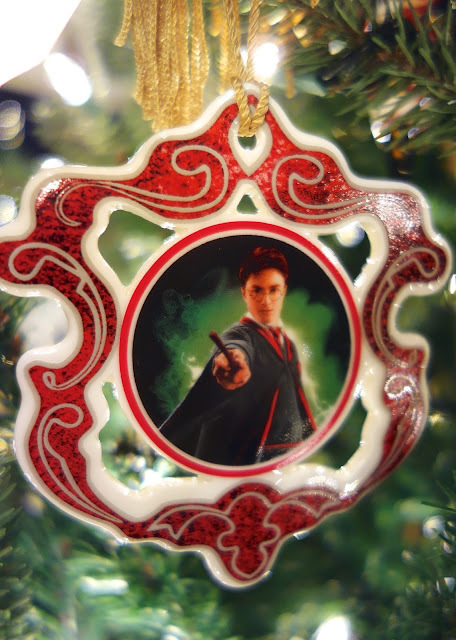 I especially love decorating our Christmas tree. Our Christmas tree us full of memories. 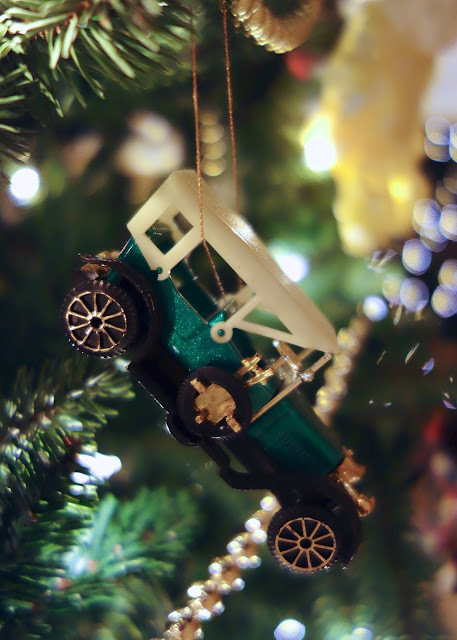 I love pulling out all the ornaments and remembering when we got them. 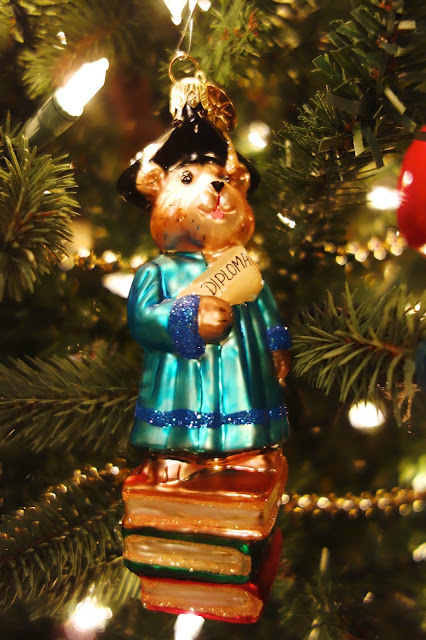 It's amazing - I can't remember what I wore last week, but I can remember everything about these ornaments! We got this ornament on our honeymoon in San Francisco. 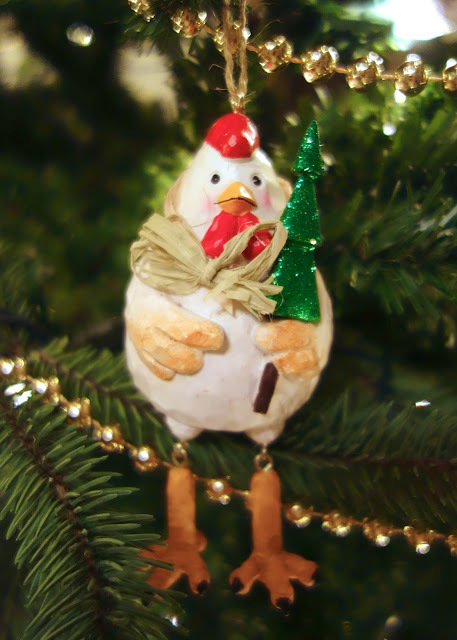 This was one of the very first "expensive" ornament Chicken Legs bought for me. 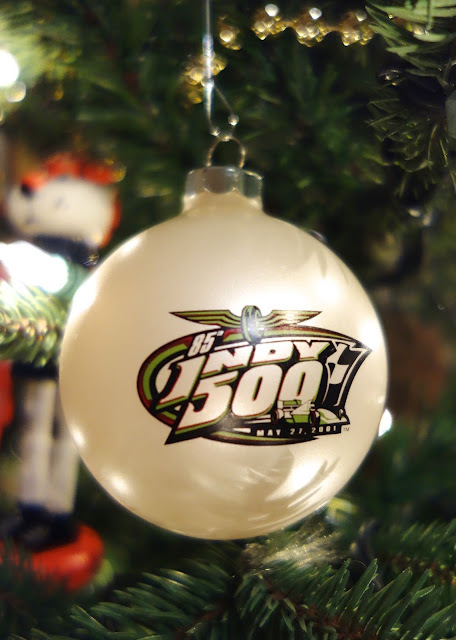 Up until this ornament, we had mostly plastic Wal-Mart ornaments. If you follow the blog you know I love Auburn. I love Auburn for many more reasons than football. 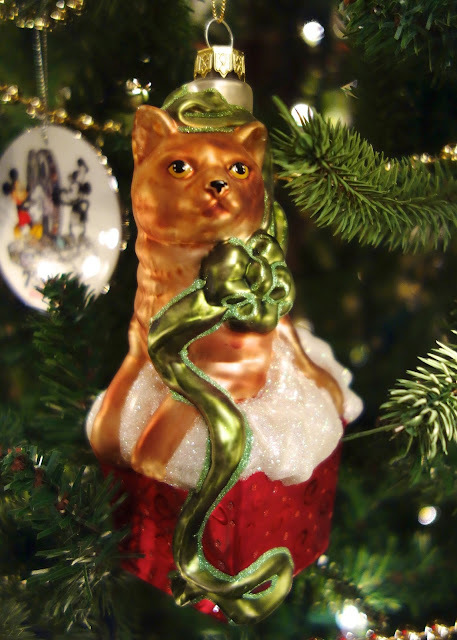 This ornament reminds me of my sweet Marmalade. My ode to Plain Chicken. It reminds me of all the amazing friends I've made through the internet! 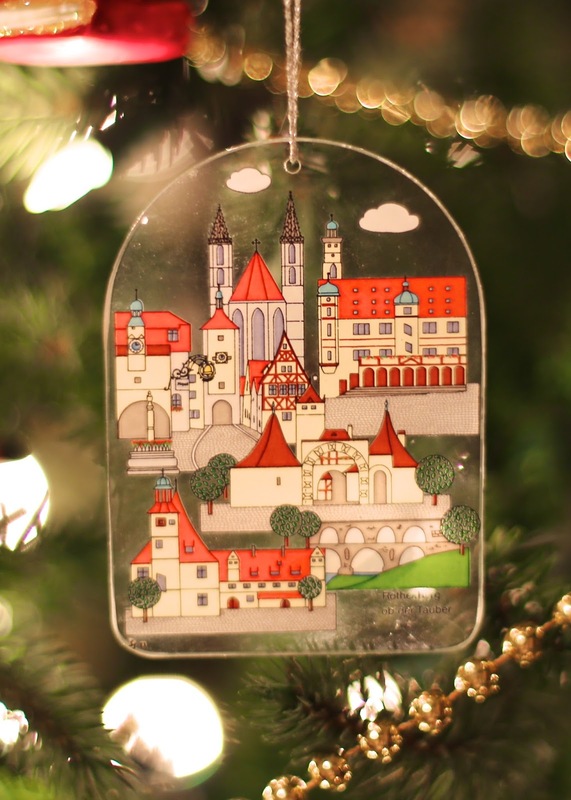 I got this ornament in high school when I went to Germany. 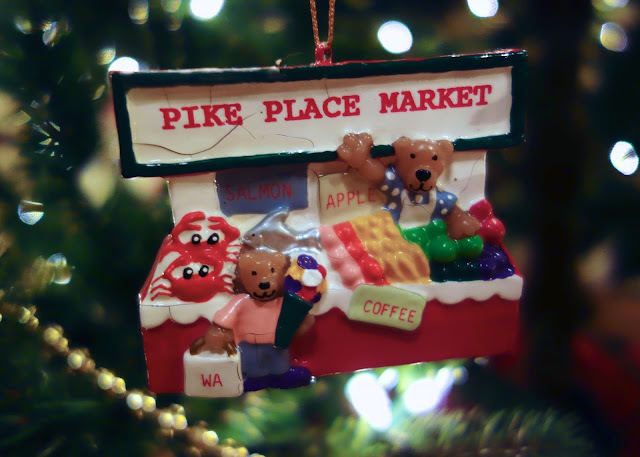 I got this ornament when I graduated with my MBA from Auburn. 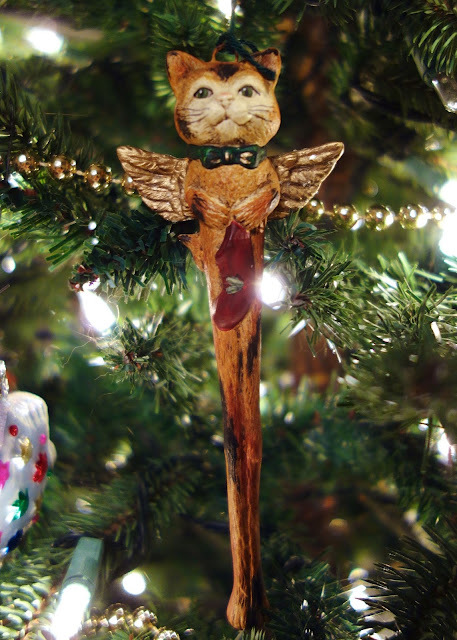 I bought this ornament in remembrance Sherbert's sister, Pumpkin. 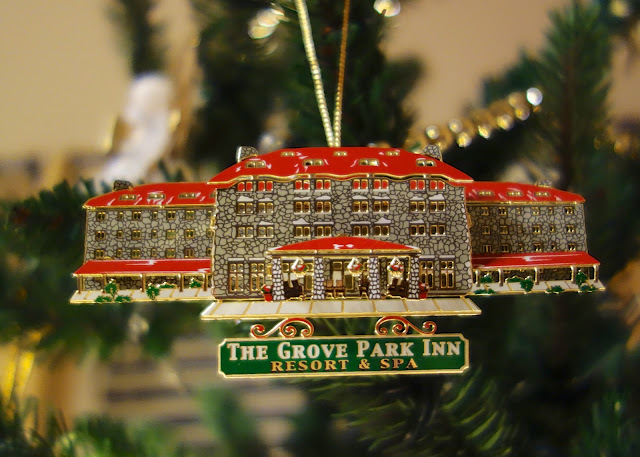 We took a fun trip to Asheville and stayed at the Grove Park Inn. I love this hotel. So old and historical. My favorite part is taking the elevator that is in the chimney! I always want to stay in the F. Scott Fitzgerald room. Maybe next time. Monticello - Thomas Jefferson was an amazing man! His house is full of gadgets that were way ahead of his time. We went to Memphis for my birthday one year. We stayed at the Peabody and saw Michael Buble in concert. We toured Graceland. It was really interesting to see how Elvis lived. 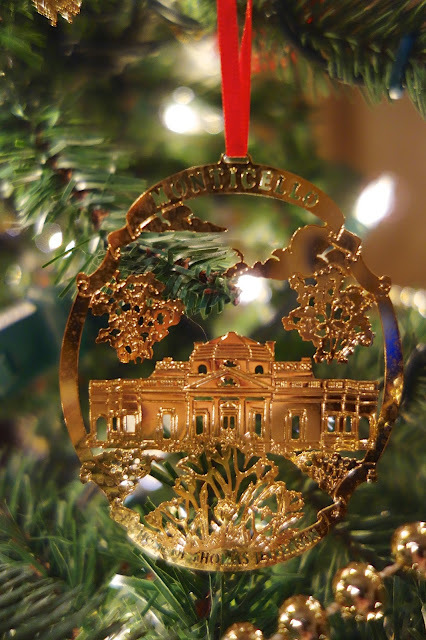 This ornament is from the Metropolitan Museum of Art in NYC. 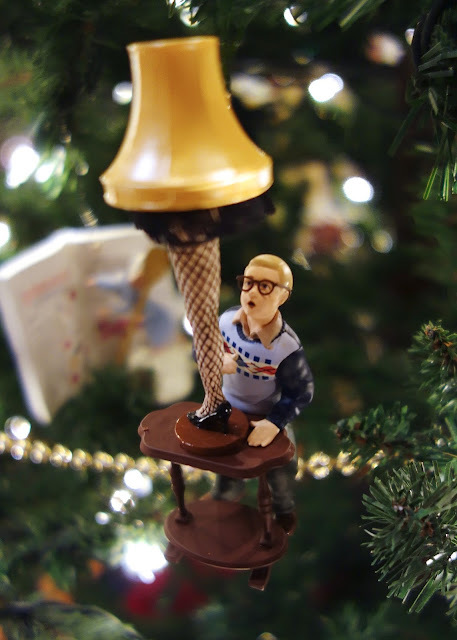 Chicken Legs bought me this ornament on another pharma meeting trip. He also bought me my very first Burberry scarf. 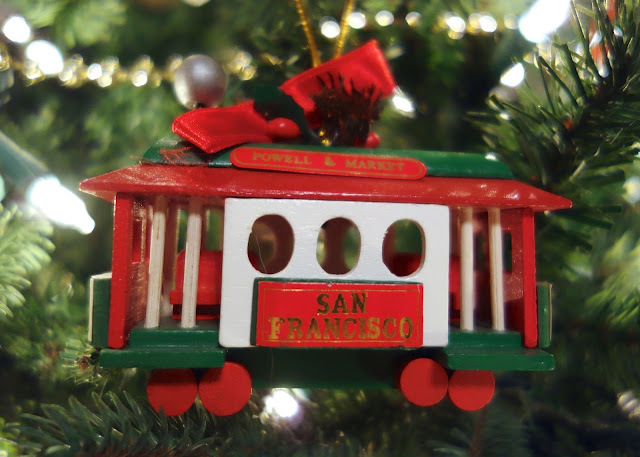 We got this ornament of "Sue" on our trip to Chicago. We are planning a trip back in 2014. Have to check out Eataly! 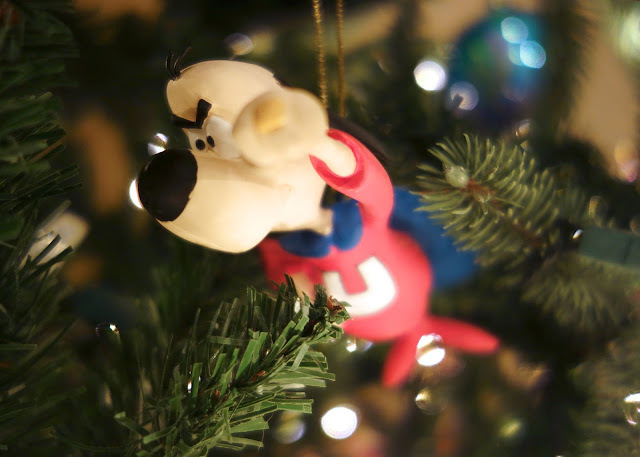 Growing up, our neighbors would give my brother and me an ornament every year. My Mom gave them to me when I moved out on my own. 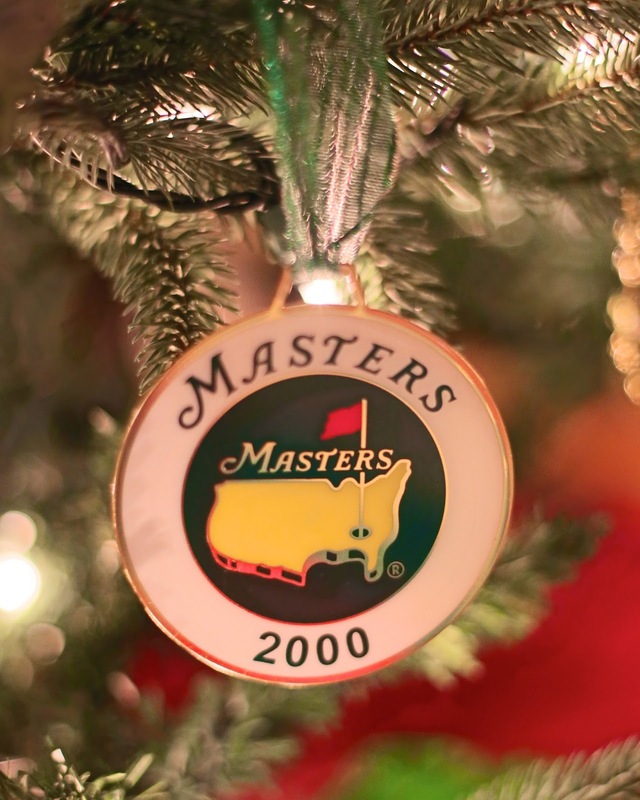 We buy bag tags when we are lucky enough to get Masters tickets and hang them on the tree. One of my favorite Christmas movies. I saw this movie in the theater with my parents and grandmother when it first came out. We always watch the marathon on Christmas Eve/Christmas Day. I bought this ornament on one of my very first business trips. I got to go to Seattle and count steel at my company's Seattle plant. The Ritz Carlton in Amelia Island is one of our favorite resorts. We've spent many holidays and family vacations there. Thanksgiving 2010 was especially memorable. We took a trip to the Indy 500 for Chicken Legs' birthday. No trip to Asheville is complete without a visit to the Biltmore. 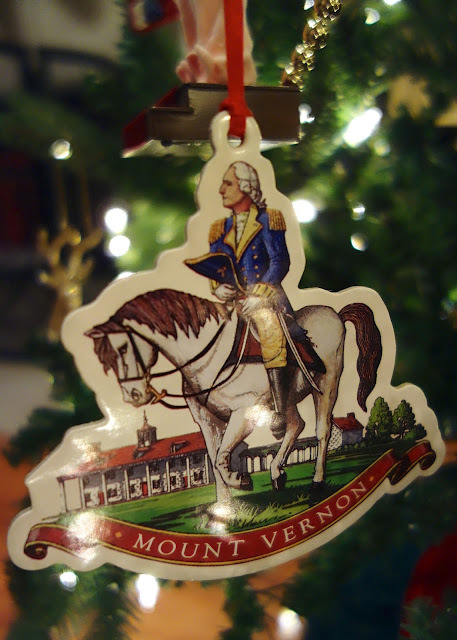 Mount Vernon - loved seeing George Washington's house. 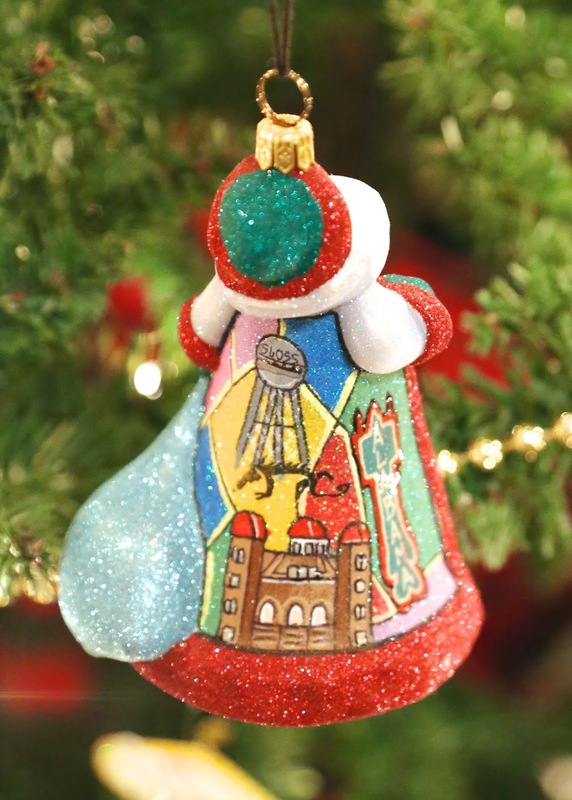 I love this glittered Santa with all the landmarks from Birmingham. Growing up I was a HUGE Underdog fan! We got this Disney ornament when we went to Orlando for the Mecum Car Auction this year. Chicken Legs bought this ornament on his first visit to Las Vegas. He got to go to a sales meeting there at his very first pharma job. Such a fun place! The castle was AMAZING! Don't miss the butter beer! 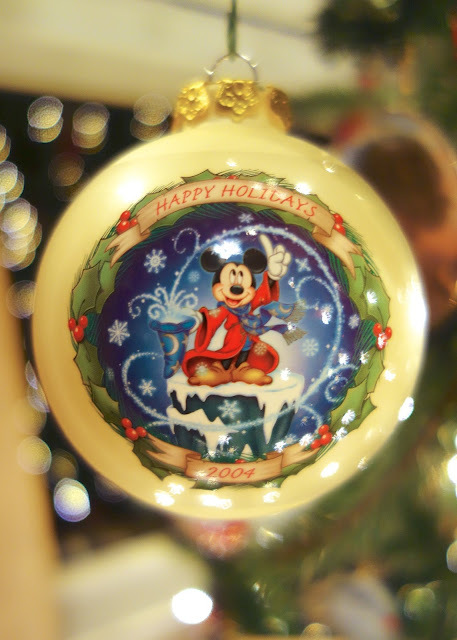 We love visiting Disney World at Christmas time. 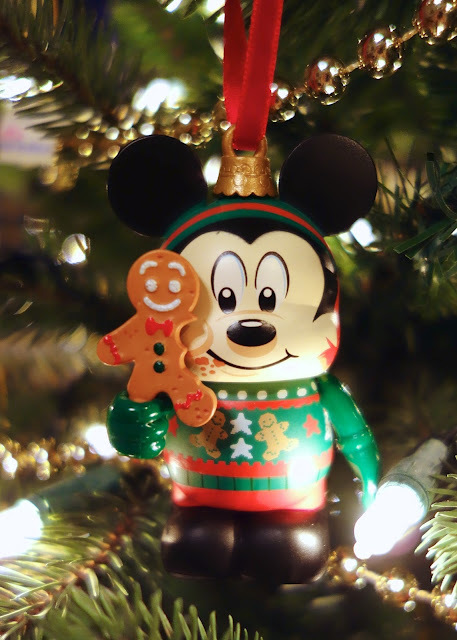 Mickey's Christmas Party is our favorite. We love drinking hot chocolate, eating sugar cookies and watching it snow on Main Street. 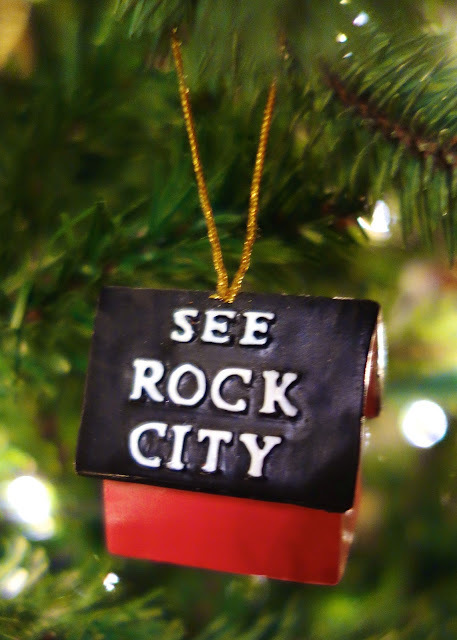 We went to Rock City and saw all the Christmas lights one year. It was neat! SO many lights - I loved it! It isn't Christmas until I watch Christmas Vacation! 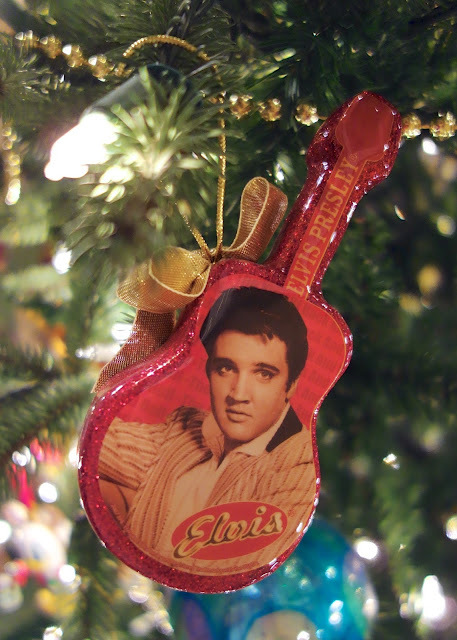 So, there are a few of my favorite ornaments from our tree! Do you have a theme or is it full of memories? Here in Germany we only have bulbs in different colors, sometimes shaped liek drops or bells, but not much else. 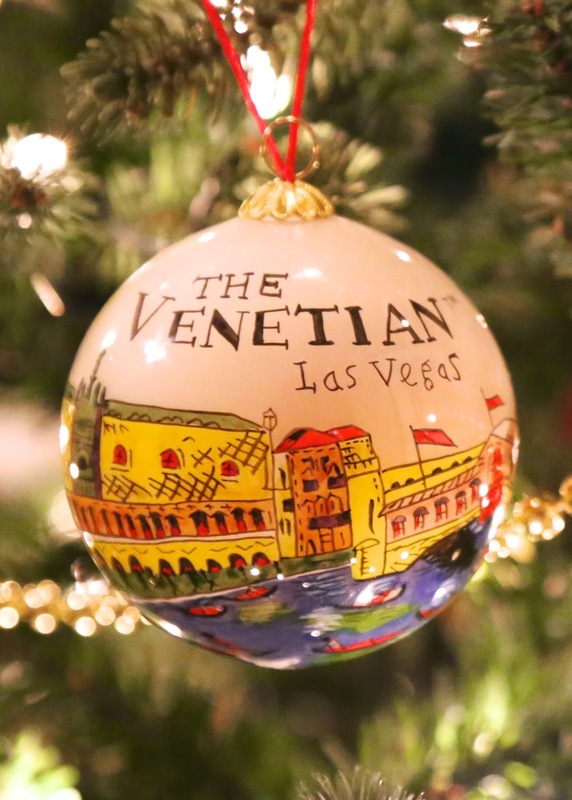 Only the last couple years, with a little luck, you could find one or two other ornaments. I have russian doll which I am very proud of, and some candy canes from the US, and four cupcake ornaments, but that's it. I am going to put up my tree on Monday. I'll post a photo of it, when we're done. 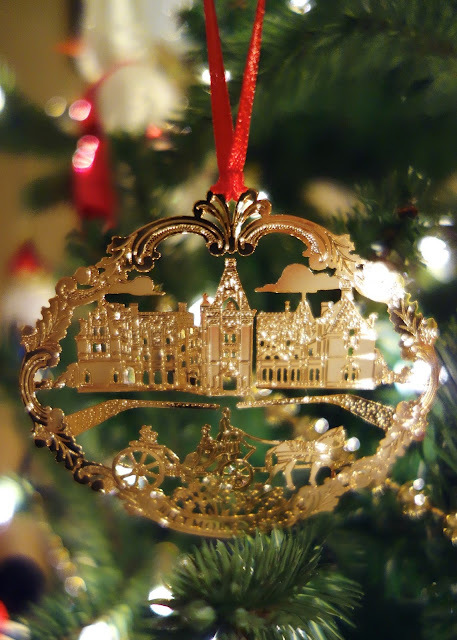 ornament with a photo of her from that year. Started before she was a year old. Merry Christmas. 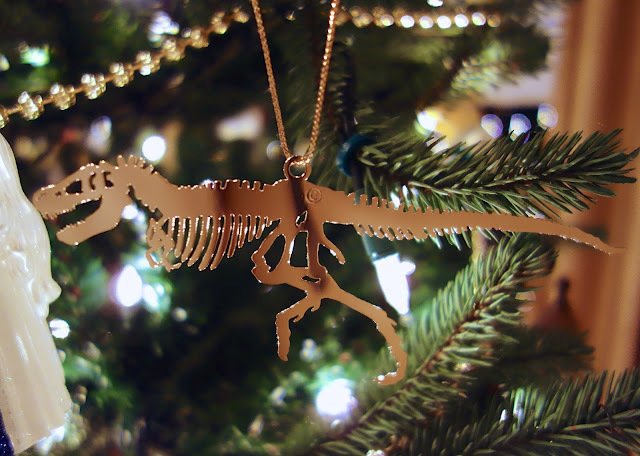 Enjoy your tree. 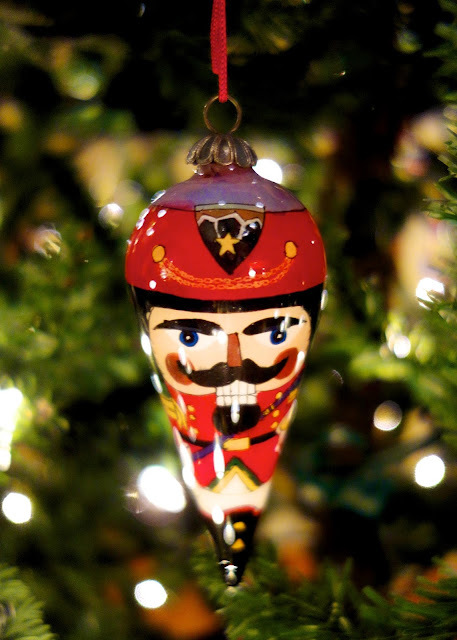 But more importantly, enjoy every memory that the ornaments recall. What a beautiful tree and a marvelous collection of ornaments with special memories! Love it! My tree is just gold, glass and white this year! 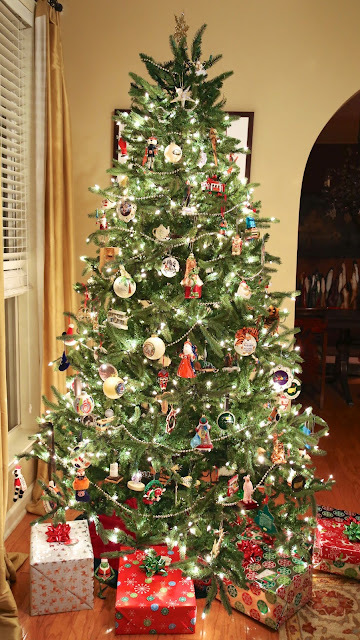 It is a tradition that my Grandchildren add the special ornaments and they haven't been here to do that yet:) Have a blessed last few days before Christmas, HUGS! What a beautiful Christmas tree! 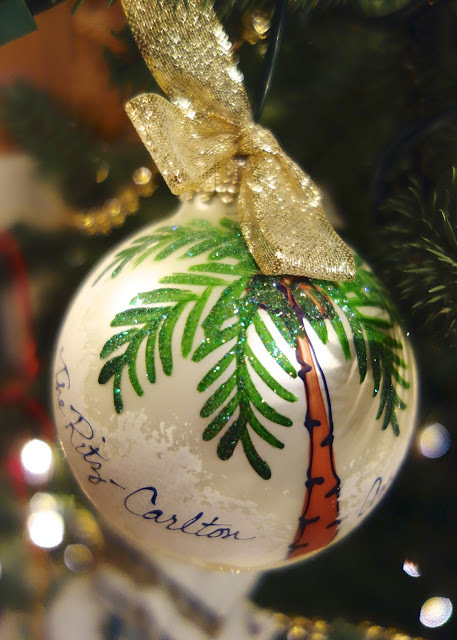 I really enjoyed this post and seeing your ornaments and reading about the memories attached to each one. So great! Merry Christmas to you and your family, Stephanie!!! Hi....when are you coming to Chicago, I would absolutely love to run into you!!! What a great looking tree! !..I really liked all the ornaments especially the cat ones. I love the fact that Plain Chicken has an ornament. 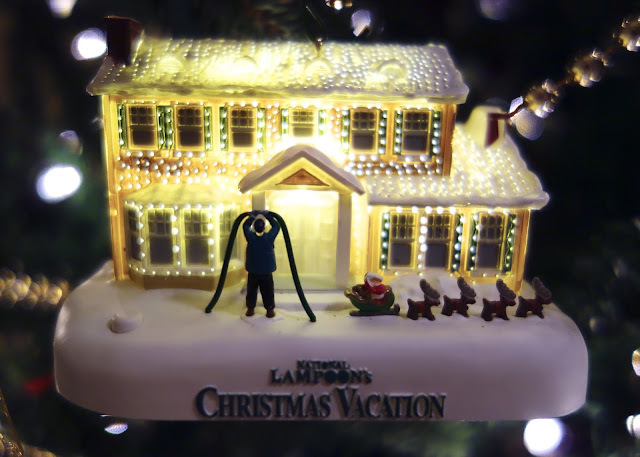 I'm also really digging the Christmas Vacation one. My tree has not theme - it's full of memories! 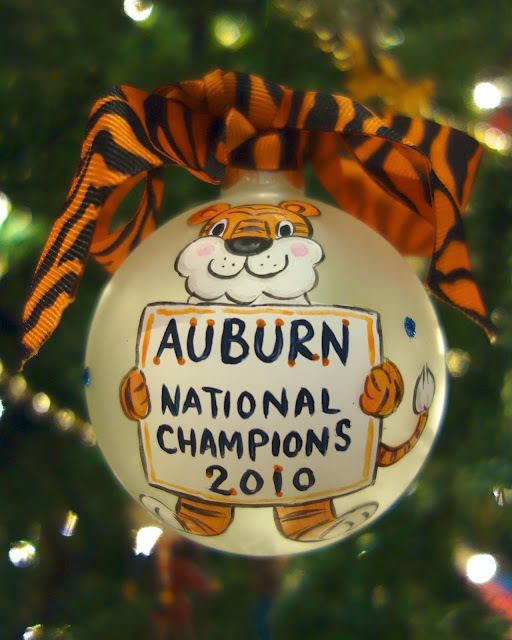 Looks like we may be buying Auburn 2013 Champion ornaments!! Merry Christmas and WDE!!! 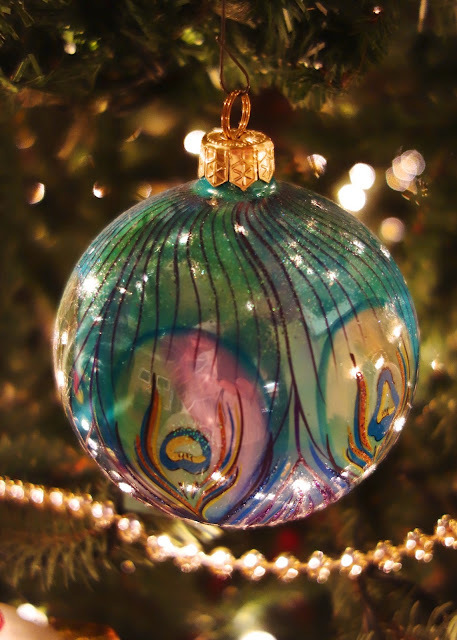 Loved looking at all your ornaments! I agree...I can't remember what I did last week but I do remember every ornament when I put it on our tree. Where did you get there christmas vacation one?